The Niagara Economic Gateway encompasses both the Economic Gateway Zone and Centre. 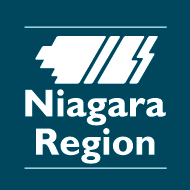 The Economic Gateway Zone and Centre stems from language used in the Provincial Growth Plan and refers to two distinct areas in south Niagara. The Zone refers to certain lands in Fort Erie and Niagara Falls and the Centre refers to certain lands in Thorold, Welland and Port Colborne.